Hello and WELCOME! Thank you for joining me, and The Reading Crew for another Mentor Text link up. Each blog, will be sharing a mentor text lesson, using a book we've chosen. The lesson will model a vocabulary, comprehension or writing skill. PRESSES! This is a cute story about a family, and all that goes on during the day, on their farm. I think what I loved most about this book is that it was written by an educator, who has worked with K-3rd graders for 16 years. In the note to readers, she writes "This book was created for the student or child that is learning to read and recognize diphthongs." 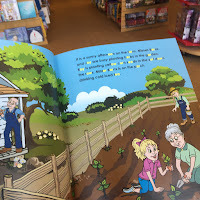 All throughout the book, the vowel teams, r-controlled vowels, and diphthongs are highlighted within the words to help the reader identify them while reading. In full disclosure, I find the highlighted text to be slightly distracting, HOWEVER, my students enjoyed how easy it was to identify the sounds. When I introduce a new phonics skill, I try to provide my students with as many concrete "triggers" as I can. I aim for a text, a visual image, and a physical artifact. 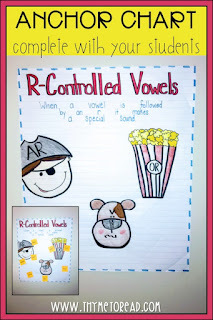 When teaching R-Controlled Vowels, I now reach for this book! 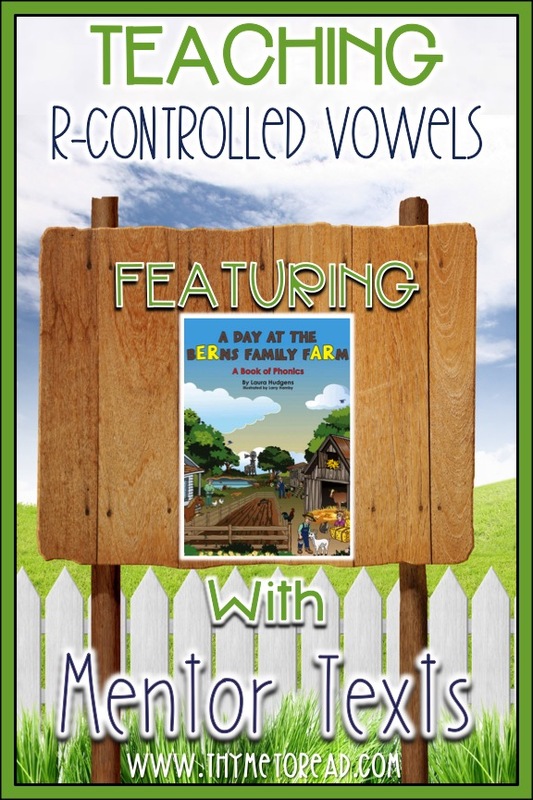 Even though the book highlights various vowel sounds, the title perfectly lends itself to trigger the sounds for R-Controlled Vowels. My students help me come up with images for our phonics skills. This year, my 2nd graders picked a pirate for the /ar/ sound, popcorn for the /or/ sound and a grumpy dog for the er, ir, ur /er/ sounds. These images are something they can visualize to help them recall the correct sounds. Finally, I try to pick a physical artifact. I found pirate patches at the party store for our /ar/ week, and during our /or/ word study, we popped popcorn. Even more than an image trigger, the multi-sensory experience connected with these fun memories help to develop a strong sound association for my students. I believe it is important to involve our students in the process of creating reference resources for themselves. So, we worked together to make this anchor chart that displays the trigger images and words that match the phonics pattern. It is simple, not terribly fancy and something the students can use to help them when reading and writing. However, I have terrible anchor chart envy. I am no artist (I traced the pictures on the anchor chart), and my handwriting skills are not worthy of being on display! So, I created these digital anchor charts. While I illustrated our classroom anchor chart, my students had these personal charts so they could develop their own word list. These charts are stored in their reference folder (a folder that goes back and forth between school and home to provide help when needed). best results with our students. 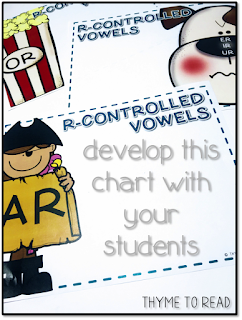 One way to provide consistent modeling and exposure for your students, is to instruct them on how to identify vowel sounds in words. Vowel sounds are the key to both encoding (spelling) and decoding. Each time we introduce a new phonics pattern we can give our students practice with these skills. As we know, vowel sounds dictate the syllables in a word. If a student is able to understand this, they will be more successful readers and writers. After reading A Day at the Berns Family Farm, you can lead your students through this decoding practice, featuring words from the book. Then, with this list of newly acquired words, your students could write their own "Bossy R" story. You can also check out THIS post/video on how to decode ANY multi-syllable word! 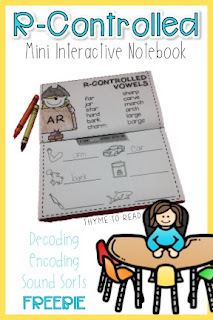 If you are looking for more practice for your students, this FREE R-Controlled Interactive Mini Book focuses on ar and or phonics skills. The notebook is made of half page foldables that introduce twice the content, in half the space. And because time is precious, there is limited cutting and pasting! Your students will have picture clues (picked by my students) to help recall the correct sound each vowel sound makes. Additionally, the list of words I generated with my students, has been included in a completed "anchor chart" reference page. Your students can practice encoding words with Bossy R sounds, as well as decode multi-syllablic words that feature R-Controlled syllables. Lastly, your students can cut, sort and glue picture cards identifying the vowel sound in each word. This resource is full of explicit practice perfect to include in your teacher guided whole class or small reading groups, while the R-Controlled concepts are still "new learning". assemble puzzles featuring R-Controlled vowels. And finally, because our students deserve it... some FUN! 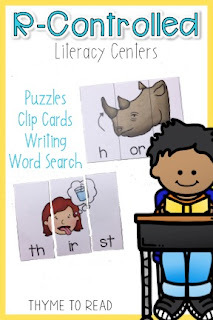 After a few weeks, I like to incorporate a little review, by playing a game with spiraled phonics skills. My students love a good BINGO-like game that encourages quick and accurate reading of previous taught phonics skills. Now that our students have had plenty of practice, it is OK to the put the pressure on, and keep the pace of the game up. Hopefully, a few weeks out, our students are recognizing the vowel patterns more quickly and decoding the words accurately. Thank you for stopping by and reading about how you can introduce new phonics skills using a mentor text. Our students love being read to, and by sharing literature that reinforces the skills we are teaching, our students will acquire the new skills with ease. I am always interested in find new ways to introduce phonics skills to my struggling readers, so if you have a book, or multi-sensory concrete artifact you would like to share, please leave it in the comments! If you are looking for more mentor text lessons, you can check out other SPRING and SUMMER texts here. This is such a great post! Thank you for the digital anchor charts...I have the hardest time drawing by hand. Yet another reason why ed tech is my niche ;) CUTE! Oh my goodness! This post is jam packed with ideas for word study. I love the connection to the book and all of the wonderful anchor charts. Thank you so much! This looks like a great text to check out! I am super interested in it. And you have so many ideas to support it. Thank you for posting! AH-MAAAZING as always! I love how this book has the vowel patterns highlighted! I also LOVE your resources! 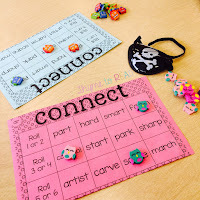 So many fun ways to work on a tricky concept! 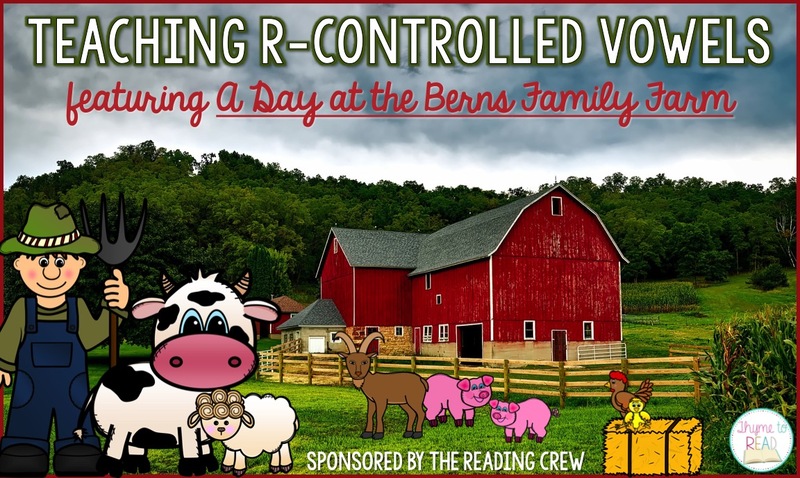 My kids are going to love this book - I am so excited to use it to teach r-controlled vowels. Thank you for this awesome post. Thank you for stopping by Laura! My students love your book. Thank you for sharing your talent.